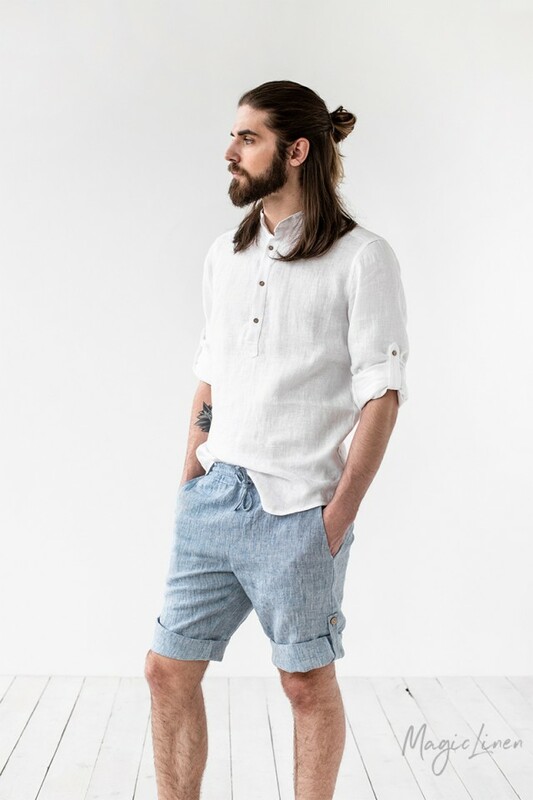 Men's linen shorts available in six different colors. 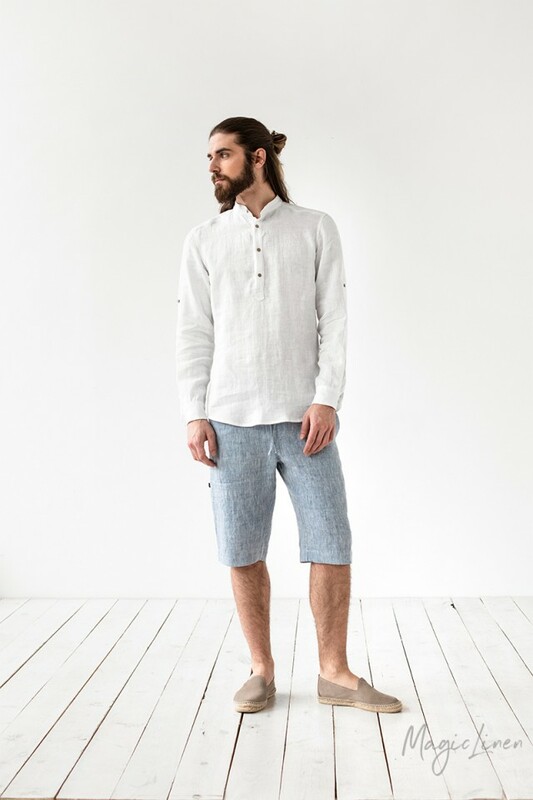 Featuring an elastic drawstring waist and two side pockets, these linen shorts are comfortable and versatile. 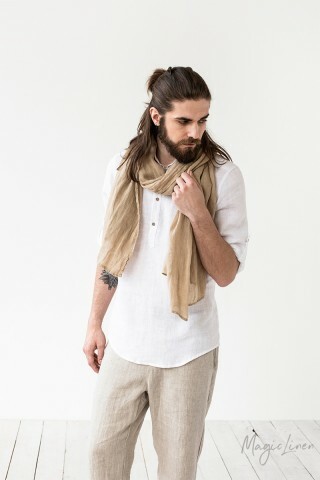 They can be rolled up for a more casual look. 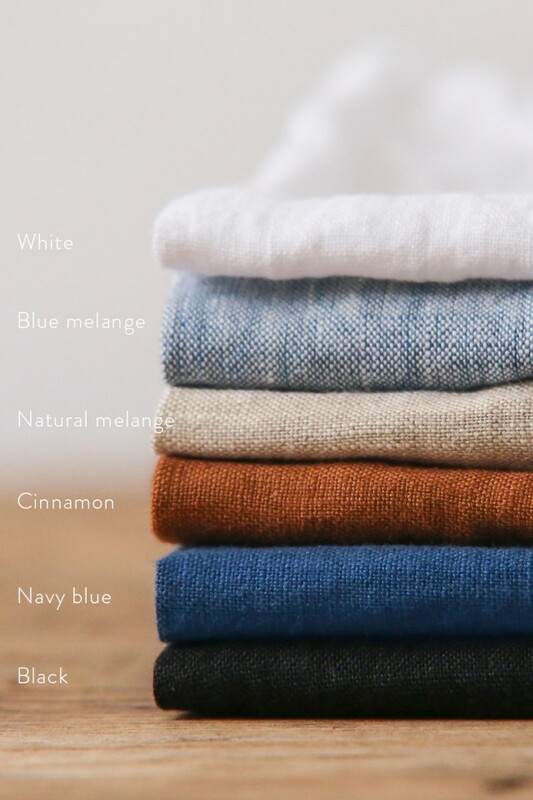 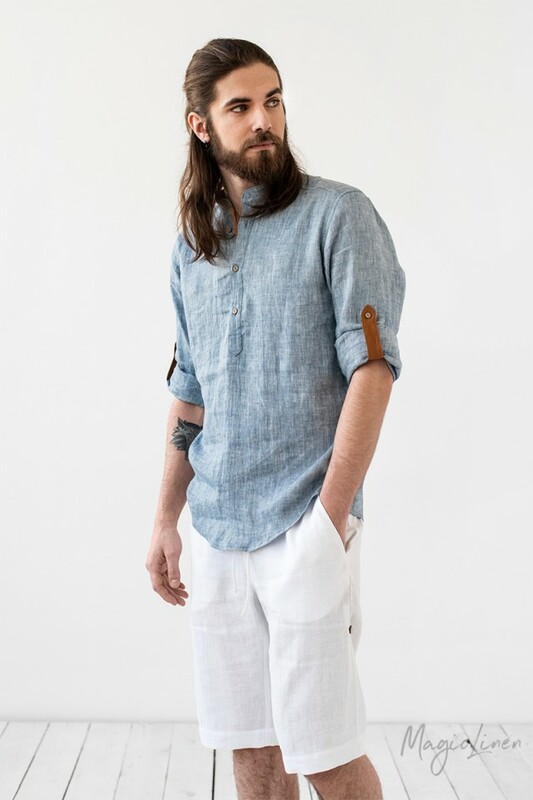 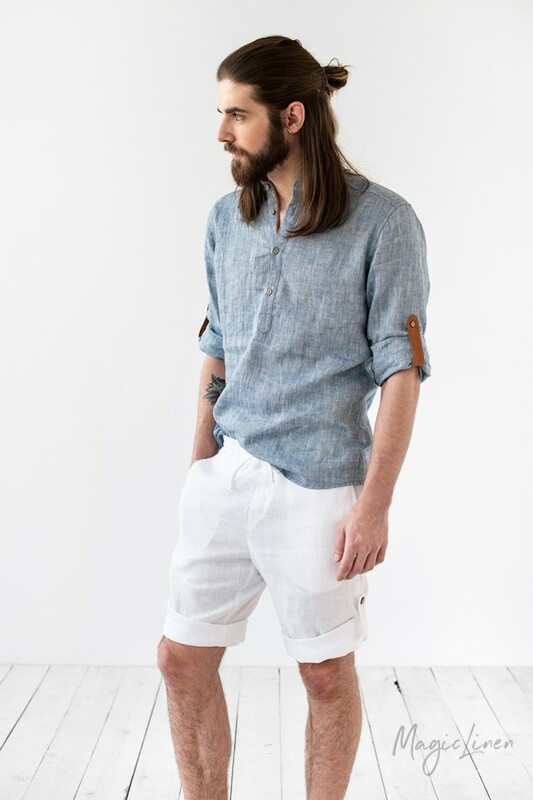 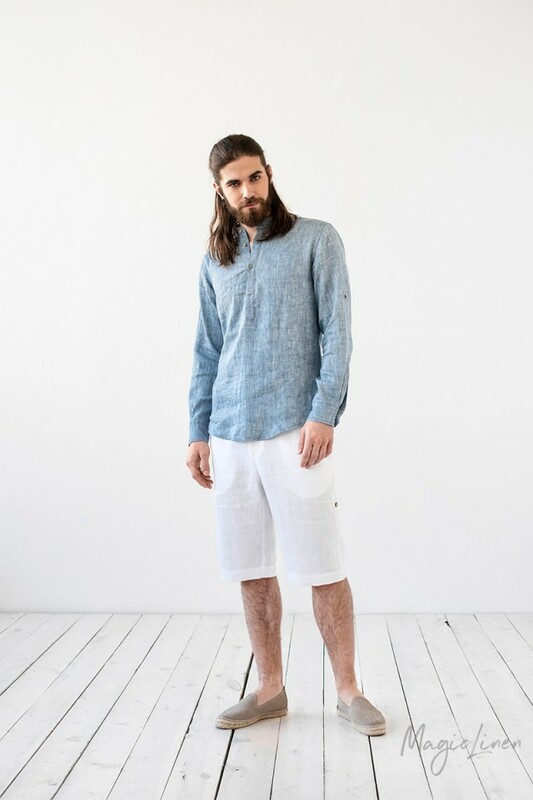 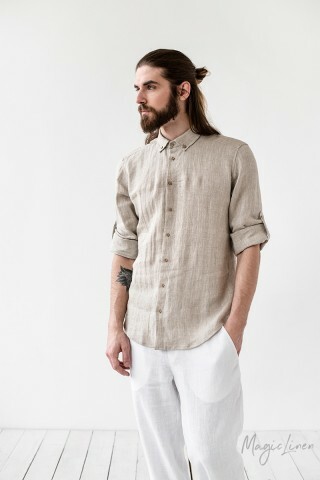 Lightweight and breathable, linen garments are perfect for hot summer days and belong in every man's closet.